The invasion of Eniwetok followed the American success in the battle of Kwajalein to the southeast. Capture of Eniwetok would provide an airfield and harbour to support attacks on the Mariana Islands to the northwest. 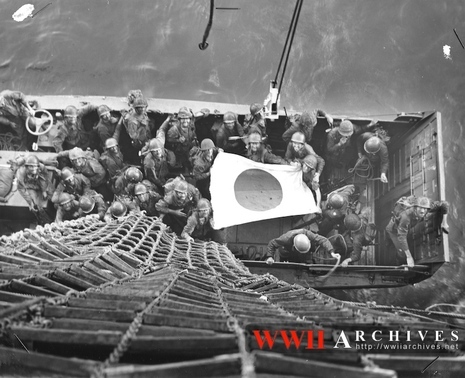 The island had been lightly defended in 1943—the Japanese believed that the Americans would strike at the southwestern Marshalls first. 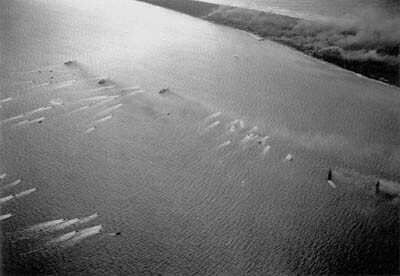 However, the defenders had been reinforced by the 1st Amphibious Brigade in January. Its commander, Major General Yoshimi Nishida along with Tank Company/1st Amphibious Brigade led by First Lieut. Ichikawa (9 Type 95 Light Tanks), had begun to construct defenses, but repeated air attacks made this difficult, and the tiny coral islands meant that defense in depth would be impossible. Vice Admiral Raymond Spruance preceded the invasion by Operation Hailstone, a carrier strike against the Japanese base at Truk in the Caroline Islands. This raid destroyed 15 warships and more than 250 planes, cutting off Eniwetok from support and supply. The campaign in the Marshalls was a necessary stepping stone in the battle for the Central Pacific. 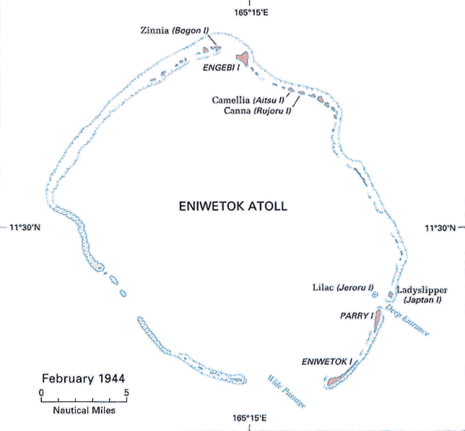 Eniwetok was a central target, with 3,500 Japanese and Korean defenders. Landings were made on February 18, 1944.